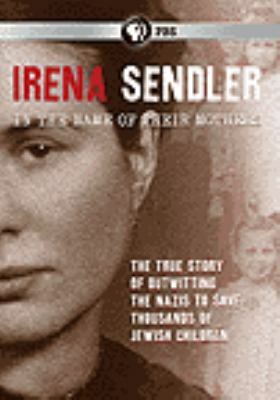 In 1942, Irena Sendlerowa, an employee of the Social Welfare Department, was working as a volunteer. Under the pretext of conducting sanitary inspections, Irena has been bringing clothes, food and medication to the ghetto. But after witnessing the Nazis inhuman treatment of the Jews she decides that she has to do more. 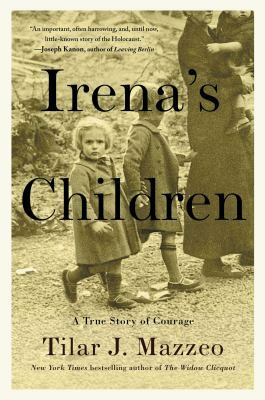 Irena organizes her colleagues, family, and friends and together they begin to rescue children from the ghetto. 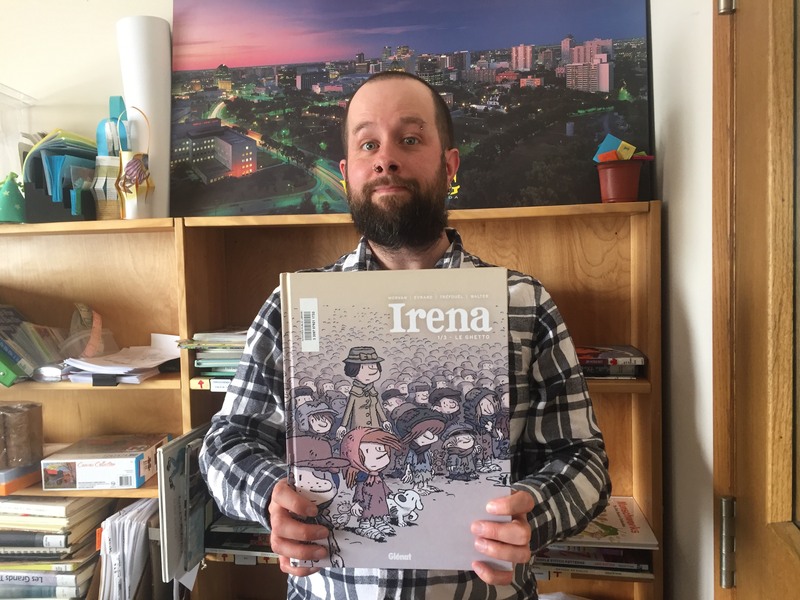 Irena is a French bande dessinée (BD) that follows the exploits of Irena Sendlerowa, a social worker who worked as a volunteer in the Warsaw ghetto. I had never heard of Ms. Sendlerowa, as I’m more familiar with Winston Churchill, Joseph Stalin, Franklin Roosevelt – men whose names are remembered because of their role in the Second World War. But there are thousands of men and women who contributed to fighting against the Axis, and Irena Sendlerowa is such a heroine. The BD’s art reminded me of a child’s comic, it’s cartoonish style similar to Charlie Brown, and everyone who’s read Peanuts knows that nothing bad ever happens to Chuck, except missing the occasional football and falling down. But the artwork did not diminish the story it intensified it. The innocence of the artwork evaporates when you see children dressed in rags, or an elderly couple pushing a cart containing their possessions and dead bodies. As the story unfolds you learn about Warsaw and its transformation under the Nazis. Laws are passed to strip the Jews of their money and legal rights. Eventually more than three hundred thousand were forcibly relocated to the ghetto before it was closed off from the rest of the world. In this climate of despair we see ordinary people helping one another to survive. Ordinary Polish citizens, many of whom have grown frustrated with the Nazi occupation, assist Irena in her mission. Despite the risks of being imprisoned or killed they put aside their fear and engage in an act of defiance in order to help their fellow human being. The series jumps from the past, present and future – taking the reader along for an emotional ride. As a student of history I understand the importance of the holocaust but that does not make it any easier to read about mass murder. The Warsaw Ghetto is one of the darkest chapters of the Second World War and discovering a heroine who worked within the ghetto, then decided to risk everything in order to save the lives of thousands was unexpected and wonderful. The story is sad but it also has a lot of heart. Although you might shed a few tears reading Irena you will also find yourself smiling at the courageous acts of an incredible, resilient woman. We have more books and films about Irena, if you’re interested in learning more about her. Got a suggestion for purchase? V-O-T-E! Who will the winners be? Categories Select Category Book Clubs Cookbook Clubs From the Desk of the Writer-in-Residence Library News Miscellaneous Readers’ Resources Seasonal Tech Tips Time to Read Podcast What to Read Next?